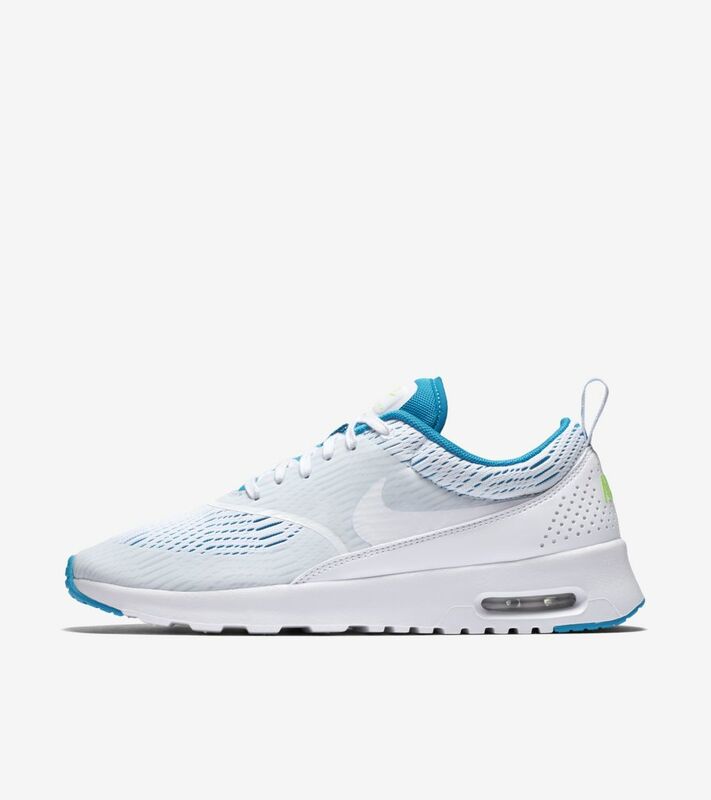 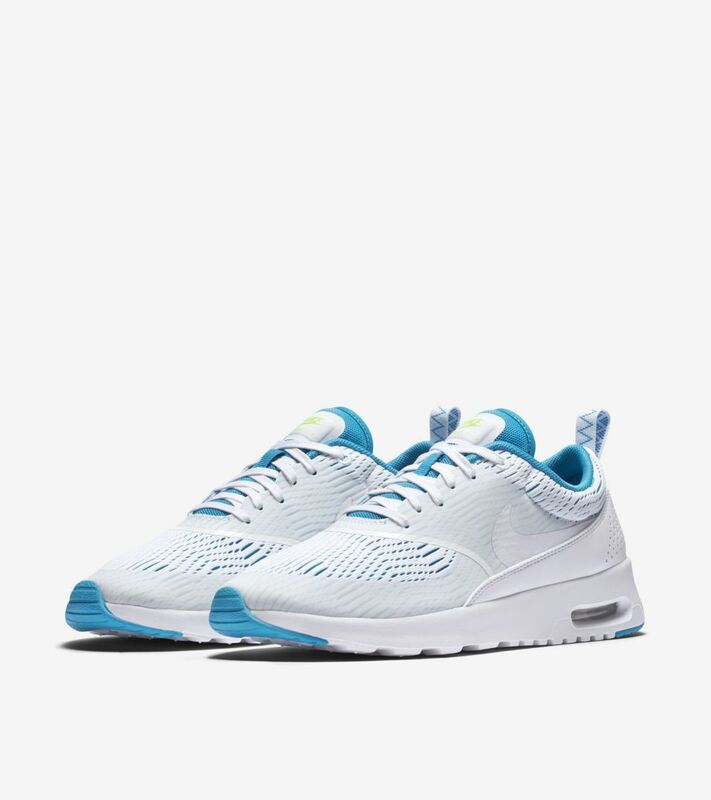 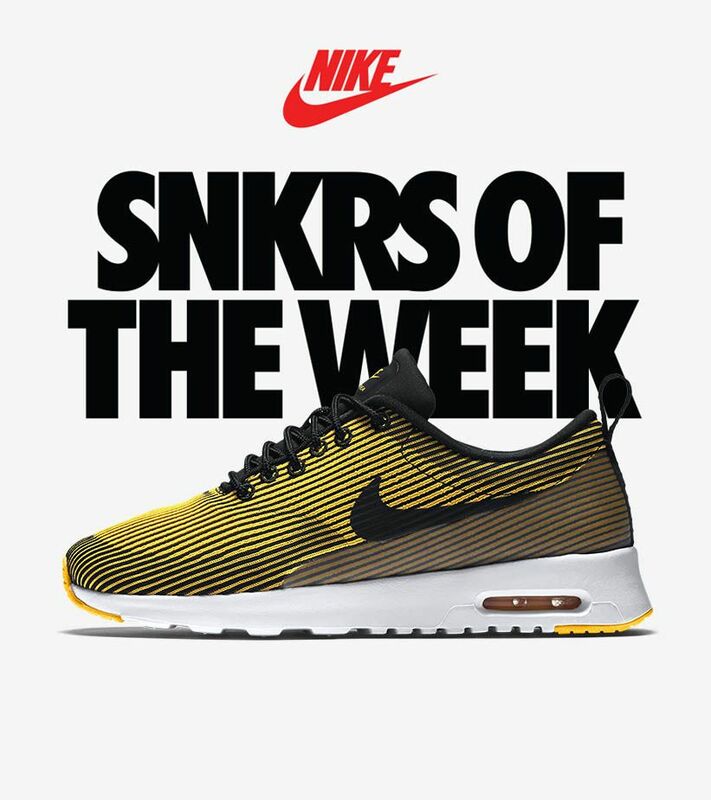 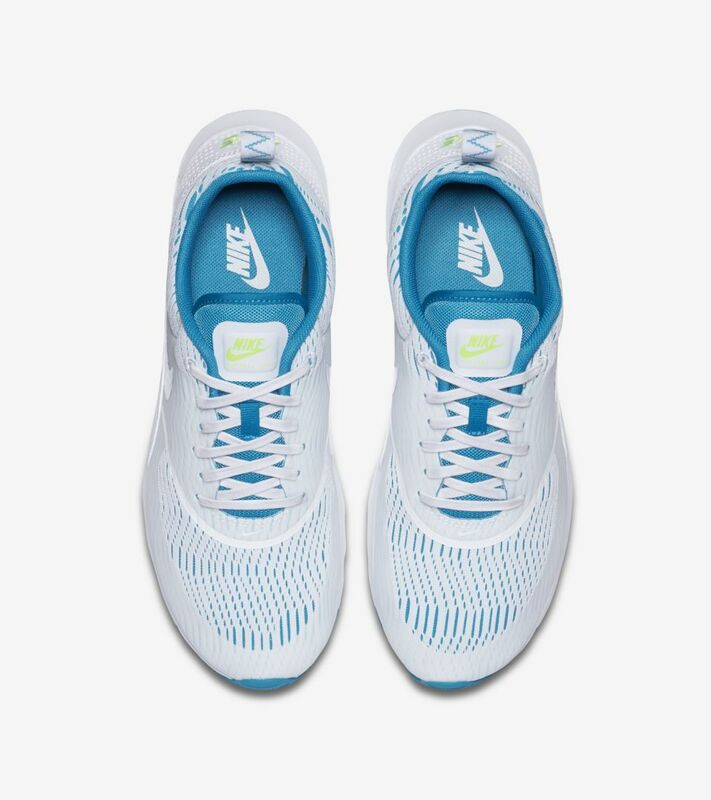 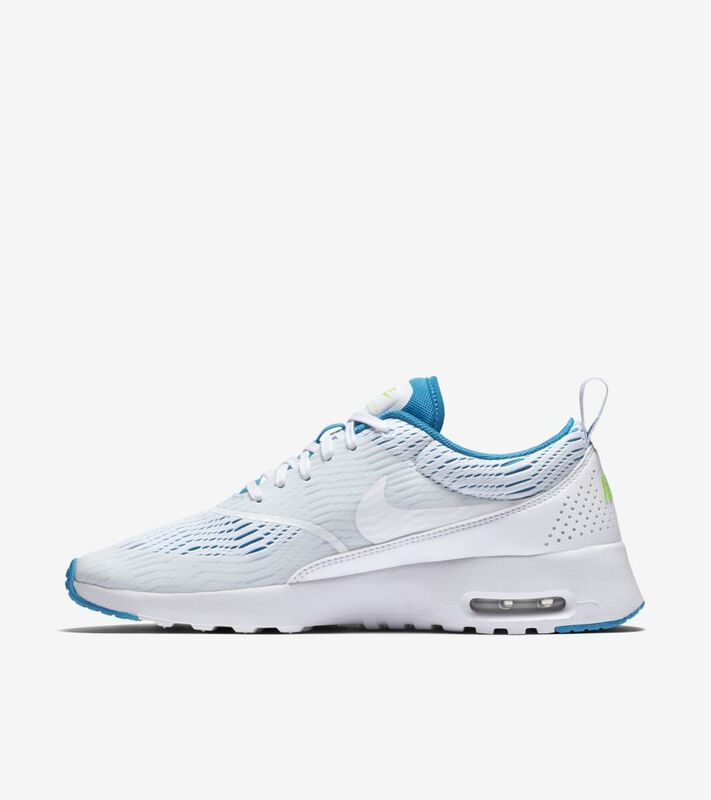 The lightweight and versatile women's Air Max Thea joins the latest SNKRS of the Week selection. 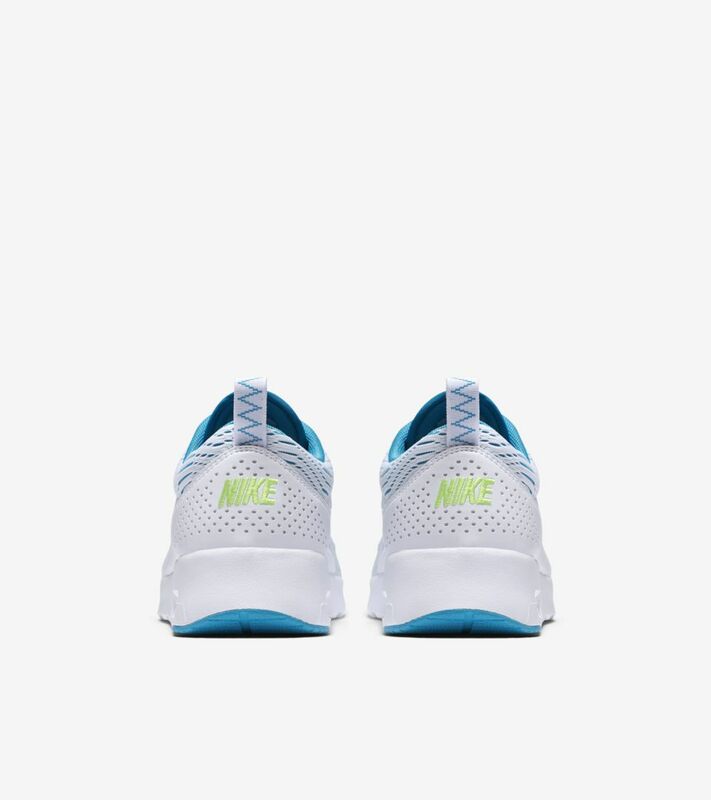 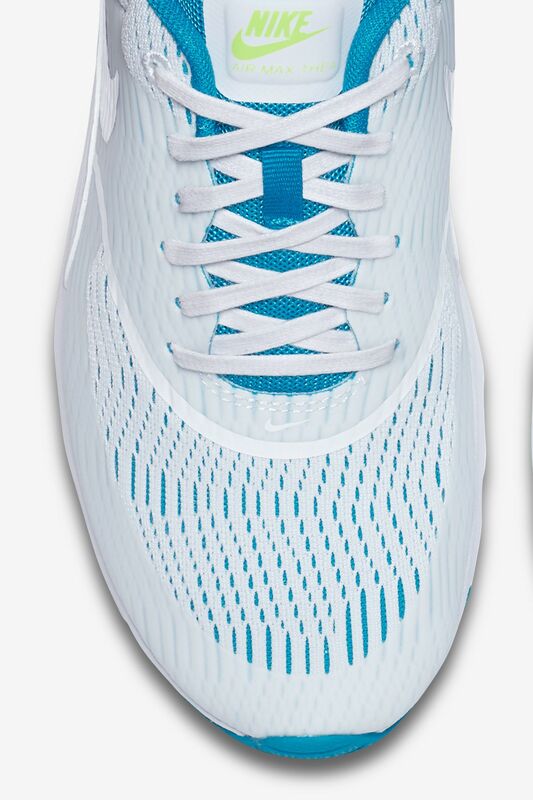 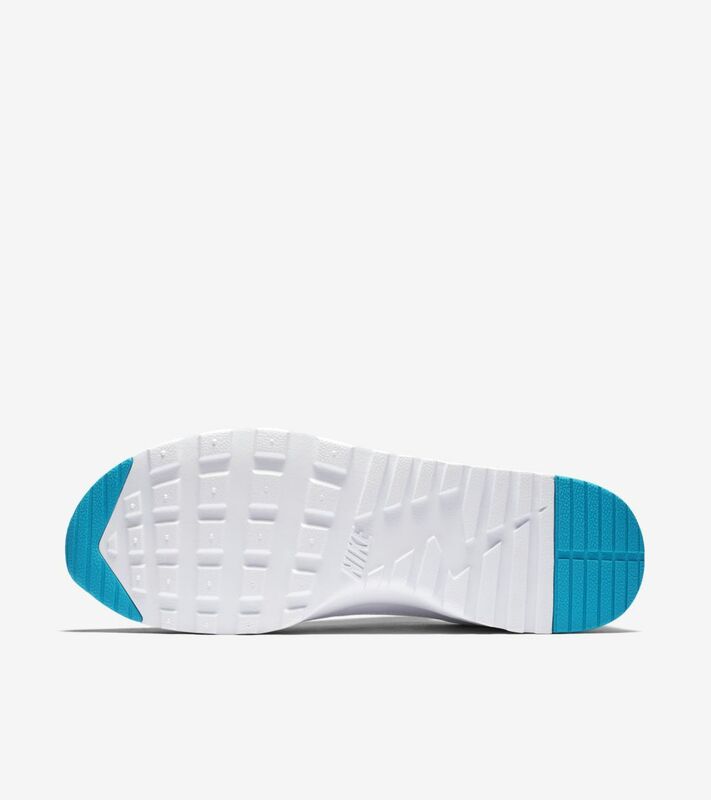 The sneaker features a breathable textile upper with leather overlays topping an injected Phylon sole. 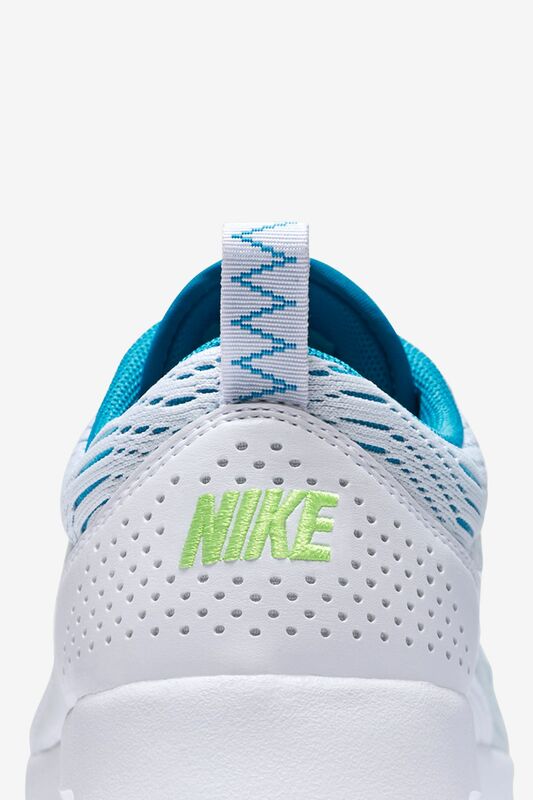 Spring tones comes to life courtesy of a white, blue lagoon and ghost green colorway.